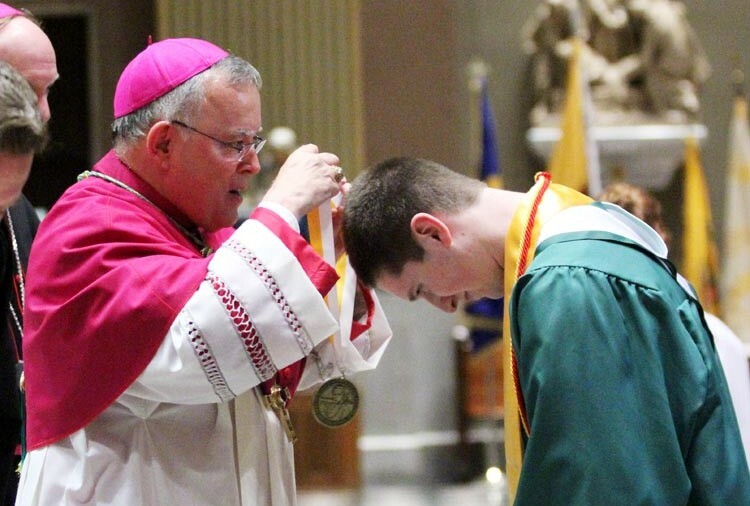 Some of the leading Catholic high school seniors in the Archdiocese of Philadelphia will receive special honors for their achievements during the Academic Honors Convocation Thursday, May 21 at 6:15 p.m. at the Cathedral Basilica of SS. Peter and Paul in Philadelphia. Archbishop Charles Chaput will be the main celebrant of a Liturgy of the Word before the event that honors archdiocesan and private Catholic high school seniors for their academic excellence. This year 156 students from 32 schools will be honored for their high cumulative ranking at the end of the first semester of their senior year. Christopher Mominey, secretary for Catholic education, will deliver closing remarks. The 2015 All Catholic Chorus will provide the liturgical music, conducted by Lance Moore and accompanied by organist Anne Coneghan. The students to be honored are listed below, and include those (indicated by an asterisk) in the Neumann Scholars Program of the Connelly Foundation, which since 1995 has provided four-year scholarships to any archdiocesan high school for academically talented eighth-grade students. Congratulations, Claire Weckerly! Well deserved! Best wishes on your future goals! Catholic Schools do a fantastic job with our youth. We had 4 sons who attended for 12 years. They are civil, respectful, kind, caring, generous, college educated professionals. Could not be more proud of them. We now have 5 grandchildren–2 graduates of Roman at Temple; 1 Little Flower graduate at U P; 1 in Roman and 1 in Presentation. CONGRATULATIONS to Liam Green for a wonderful achievement. Best wishes for a happy future. Catholic school education? Pricelss ! THIS is why I will ALWAYS support Catholic education.